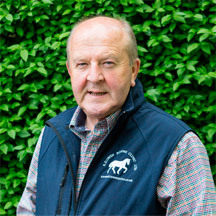 Richard qualified at Liverpool in 1974 and proceeded to work in mixed practice in Oswestry for 2 years before following his family’s horse racing background and adventuring to Newmarket for 3 years. This gave him the perfect experience and courage to develop and build an equine practice in North Wales. He was also involved in encouraging Tullis Matson setup the Twemlows AI Centre. The practice has grown into a successful four vet clinic with on-site stabling and full surgical facilities. Richard’s main interest is surgery and lameness and he also enjoys working at Bangor and Haydock race courses. 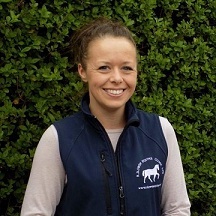 Ashley joined the team in September 2016 after graduating from Harper Adams University with a degree in Equine Science, Complimentary Therapies and Natural Horsemanship. During this time she also gained a Level 1 in Bach Flower Remedies and a first degree in the Usui System of reiki healing. 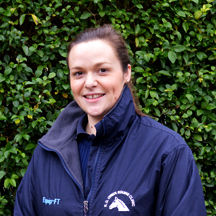 Whilst studying, Ashley spent 5 years working for Vlacq stud, a small family run Arabian stud yard based in North Wales. In the near future, Ashley is passionate about continuing her studies to eventually qualify as a registered veterinary nurse. In her spare time she enjoys riding her horse Murphy and taking long country walks with her dogs. Jessica graduated from The Royal Veterinary College in 2017 and recently joined our practice. She has a keen interest in lameness and she looks forward to meeting you all. 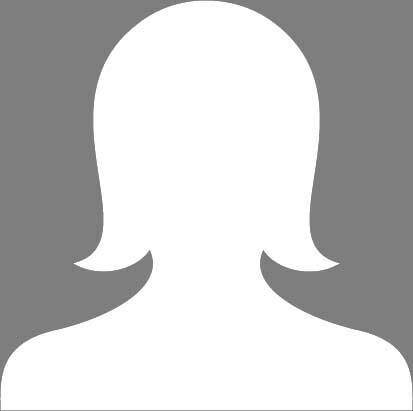 In her spare time she enjoys going to the gym, walking and spending time with her cat named Sox. Jessica has been riding since the age of 7 and is currently on the look out for a horse of her own. If you haven’t met Jess you will have come across her naughty beautiful dog Daisy. Jill is the financial director here at the clinic, and keeps us all in line! In 2001 she started up Merlin Animal Rescue, which is a charity involved in rehoming over 300 abandoned dogs from across North Wales each year. In her spare time she enjoys looking after her menagerie of ponies, dogs, chickens and sheep that she has collected over the years!! 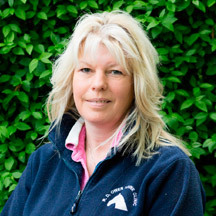 Christine qualified as a Registered Veterinary Nurse in 2013 after working 6 years in a mixed practice and then set off to Newmarket in 2014 to work at Rossdales Equine Hospital as a neonatal intensive care nurse for the breeding season. She completed two seasons at Newmarket and a season in between in Australia for 6 months. Christine qualified with a Post Graduate Certificate in Veterinary Business Management from Liverpool University in 2018 and is currently Practice Manager. Her main interests are in equine neonatal and intensive care nursing and in her spare time enjoys walking her dogs and riding her beautiful horse Borris! 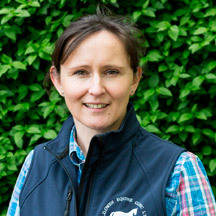 Fiona qualified from Liverpool University Veterinary School in 2006 and worked in mixed practice for a short time before joining the practice in 2008 to specialise in equine work. She enjoys all aspects of equine work but has a particular interest in Dentistry and Ophthalmology. Fiona also has a keen interest in racing and enjoys working at Bangor and Haydock race courses. She is also an FEI treating vet and works at SCOPE show jumping festival every year, and she was lucky enough to be one of the treating vets at HOYS 2015. You will find Oscar sleeping in the sunshine and keeping the office in check! 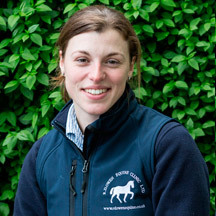 Caroline is originally from Cambridgeshire and graduated from The Royal Veterinary College in 2010. She worked in an equine ambulatory practice in Lincolnshire for 18 months before joining the practice in 2012. Caroline enjoys all aspects of ambulatory practice, but particularly Stud work during the breeding season, Anaesthesia and Internal Medicine. She is currently studying towards a Certificate in Advanced Veterinary Practice in Equine Medicine. 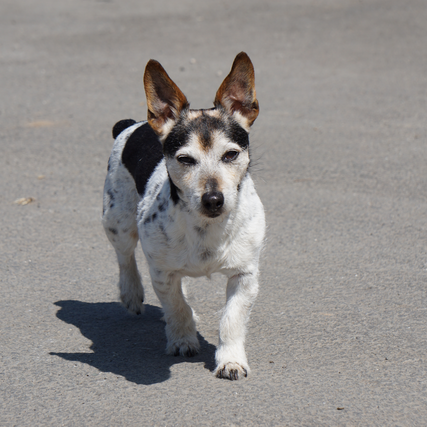 When spare time allows, she enjoys good walks with her two terriers Toby and Ted, one of which is nearly always with her in work. Safi is a key member of our weekend yard staff and is currently studying towards her A Levels and is very keen to pursue her career in the veterinary profession.